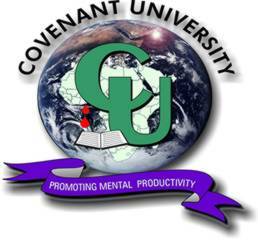 Covenant University admission notification slip for the 2015/2016 academic session is out. This is to inform candidates offered provisional admission into the Covenant University for the 2015/2016 academic session that they are required to print their admission notification slip online. Covenant University admission notification slip contains the amount newly admitted candidates are required to pay as acceptance fee and school fee. The details of your admission placement is as given in the admission notification slip and you have an obligation to accept this offer on or before August 9, 2015 without which the offer becomes invalid. Covenant University resumption date for the 2015/2016 academic session is August 9, 2015. 3. Be on the lookout on the University Website and your given personalised addresses with the University for Resumption Protocols.